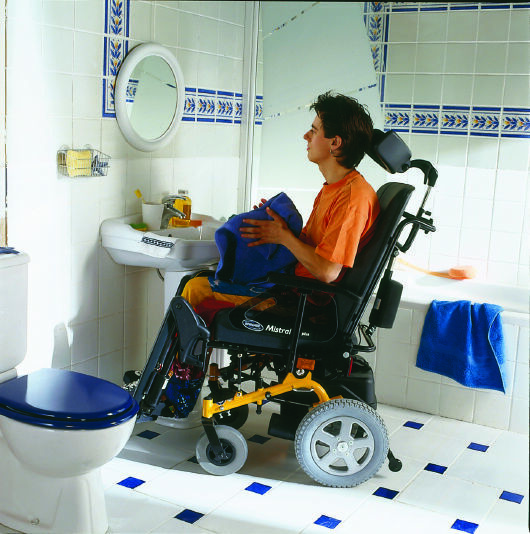 It is essential that disabled people feel they have control when in the bathroom. 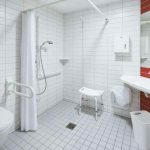 Mobility aids for bathroom are available that can help to guarantee this degree of control and support, and they are absolutely vital to ensure that disabled people feel independent when using the facilities. Using the toilet, or having a bath or shower, are parts of everyday life that many people take for granted. However, for disabled people, it is not always so simple; some people need assistance to use the toilet, while others struggle with their personal hygiene due to difficulty getting in and out of the bath or staying upright in the shower. Thankfully, there’s an array of mobility aids available that can really change people’s lives for the better. A hot bath can ease a lot of life’s stresses, as well as easing sore joints. However, for disabled people with a traditional bath, getting in and out can be very difficult. Thankfully, bath lifts are available that can be fitted over standard baths and ease the person in and out with an electric mechanism, usually attached to the wall. Users can lower themselves into the bath and raise themselves out again with the touch of a button, reducing the need for a hoist or for a person to assist them. For people who are happy to have more work done in their bathroom, a walk-in shower can be installed. These enclosures can be surprisingly stylish, as well as useful for people who could not otherwise easily take a shower. 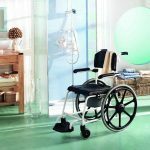 They also no longer need to look like standard mobility equipment, as wet rooms and walk-in enclosures have become universally popular, and thus the aesthetic aspect of their design has improved. Walk-in showers often include foldaway seats for the user to sit on, which reduces the risk of slips and falls. They can be designed to fit a smaller space, which is ideal for many bathrooms, and they offer level access, or a very small step, to enter. There’s no reason you can’t have the wow factor in your bathroom when you get a walk-in shower installed, so consult showrooms and builders to see whether it’s an option for you. 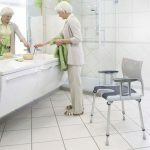 It’s another example of mobility aids for bathroom that you can use as a quick win. If you can get into the shower but struggle to stand for the time you are in there, a shower seat could be an inexpensive answer to your problems. This is a very understandable example of mobility aids for bathroom. Some are self-contained stools, some are designed to fit across a bath, while others can be attached to the wall and fold down when you need them. All shower seats are easy to clean, usually with a simple wipe, and they really take the pressure off your feet while you’re having an exhilarating shower in the morning! Whether you fear slipping in the shower, or you struggle to stand up after using the toilet, safety rails can be installed relatively easily. These rails will take your weight and help you to move around your bathroom safely. Attached securely to the wall, a bathroom safety rail can be grabbed and used to stabilise a person, or used to move around a room safely. 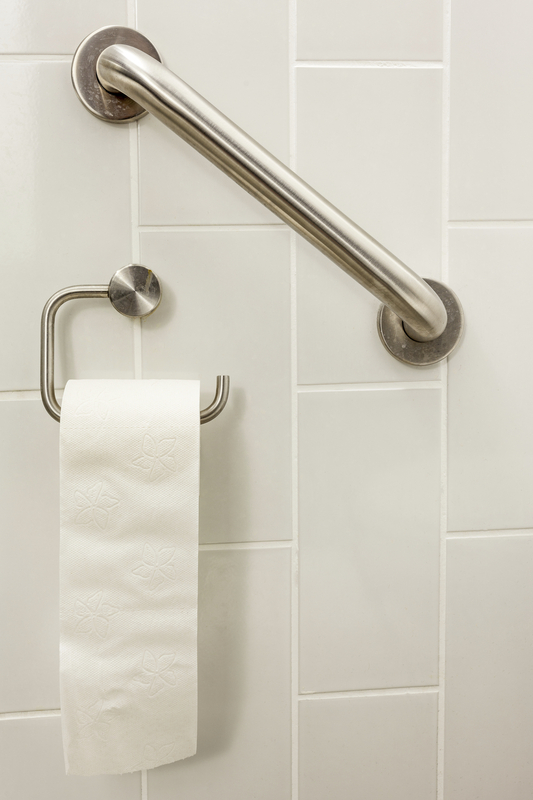 Portable grip handles that attach to the walls via suction are also available if you do not want to fit more permanent rails to your bathroom walls. 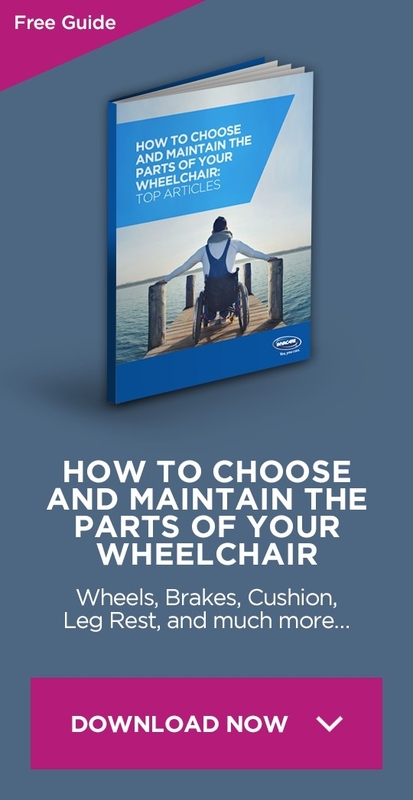 If you struggle to stand up after using the toilet because it is too low for your comfort, it is possible to buy specialised seats that sit on the top of a regular toilet seat to give it more height. Comfortable and padded, these booster seats can make it easier to stand and can make using the bathroom simpler and easier. With a bit of thought and specialist advice, using the bathroom can be as easy for disabled people as their non-disabled friends and family. Check out the options at your disposal, and take action to make your life easier.